The Khango Konyak-led NSCN (Khaplang) expressed its willingness to resume the ceasefire with the Centre. The ‘ministry of information and publicity’ of the outfit issued a statement on Tuesday, saying it desired to pursue the Naga political issue with the government of India by resuming the previously abrogated ceasefire. The Konyak-led NSCN (K) said it took the decision in response to the appeal of the government of India, the state government and the Naga people. The NSCN (K) unilaterally ended the ceasefire, signed in 2001, with the Centre in March, 2015. 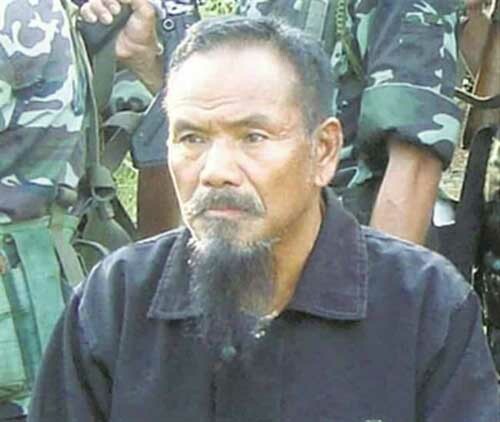 The NSCN (K) split into two groups after Konyak was ousted as its chairman in August this year. One of the groups is led by Myanmar-based Yung Aung, a nephew of S.S. Khaplang, while the other by Konyak, who had returned to Mon district of Nagaland after his ouster. The statement said New Delhi has informed through the Naga Mothers Association (NMA) and the Nagaland Gaon Burah Federation (NGBF) that it was “more than happy to have NSCN return to peace since it is the NSCN who unilaterally walked out of ceasefire, whereas the Government of India still upholds the ceasefire agreement that was signed between the NSCN and government of India in the year 2001”. According to the statement, some Naga NGO leaders, not the government of India, were responsible for “more confusions and divisions” within the Naga political groups. “Any unwanted fallout would solely be borne by vested Naga leaders who since the unfortunate crisis within the NSCN have been trying to impose their twisted interests and obstruct the peace efforts between the outfit and New Delhi,” the Konyak-led group said. The outfit further stated that it appeared that a certain section of the Nagas, either out of ignorance or vested interest, seems to be misinterpreting the ongoing peace initiative between the NSCN and the government of India being mediated by various Naga frontal organisations, including the NMA and NGBF. “It is extremely biased and detrimental to peace that certain individual leaders and groups have been found to be trying to legitimise the illegal and unconstitutional impeachment attempt plotted by 36 Pangmi workers. Moreover, attempting to give recognition to National Ceasefire Agreement (NCA) group and undermine the legitimate NSCN/GPRN led by Khango Konyak would be very dangerous and damaging to the Naga political issue,” the statement read. The NCA is a ceasefire agreement between the government of Myanmar and representatives of various ethnic insurgent groups there. The Konyak-led group said the Yonghong (Yung Aung-led NSCN (K) has “forfeited Nagas aspirations and rights by signing the NCA and agreeing to accept Myanmar Union”. It further asked the business community, government departments and the Naga public to “remain vigilant of the NCA group and immediately stop paying any taxes or succumb to their desperate empty threat and intimidation”. The outfit warned that any individual, group or organisation found to be espousing the NCA group’s cause in west Nagaland will be prosecuted as criminals, anti-peace and anti-Naga, “who no longer have the credibility or legitimacy to talk about the Naga issue”. It further appreciated the NGBF, NMA, Eastern Nagaland Public Organisation, Yimchunger, Khiamniungan, Chang and Sangtam tribal leaders, Konyak Union, Sumi Hoho, Naga Hoho, Naga Students Federation, Nagaland Tribes Council and Central Nagaland Tribes Council for their enthusiasm for peace and unflinching support and solidarity to NSCN/GPRN at this very hour.